Saturday afternoon wouldn’t make the highlight reel of my parenting journey. I allowed frustration to take over and handled a situation poorly. What I addressed needed to be dealt with, but I didn’t do it in the right way. In hindsight, if I had just sat down with this daughter and talked through the situation, I’m confident that she would have come to the conclusion she needed to reach. However, that’s not what happened. When I thought about the incident later, I realized that there were certain things I did afterwards that I need to remember if (sadly, more like when) this happens again. 1. Apologize. I think a simple “I’m sorry for __________” is best. I tend to want to excuse my behavior with “….but if you hadn’t….” or “….since you….” Don’t do that. You can also specifically ask for their forgiveness for what you said or did that was wrong. 2. Pray together. Ask your child if you can pray with him/her. Ask God to forgive you for how you acted. Thank Him for your child and pray that He will give you the wisdom you need to parent your child well. 3. Share a hug. You want the spirit of the relationship to be restored. If your child is willing to hug you, that usually shows that things are headed in the right direction. 4. Forgive yourself. This situation happened mid-afternoon, and when I went to bed late that night, I was still beating myself up about it. God had forgiven me and she had forgiven me, so I just needed to let it go. Our goal is to learn from our mistake and then move on. I hope not to give myself blog post topics this way very often!! 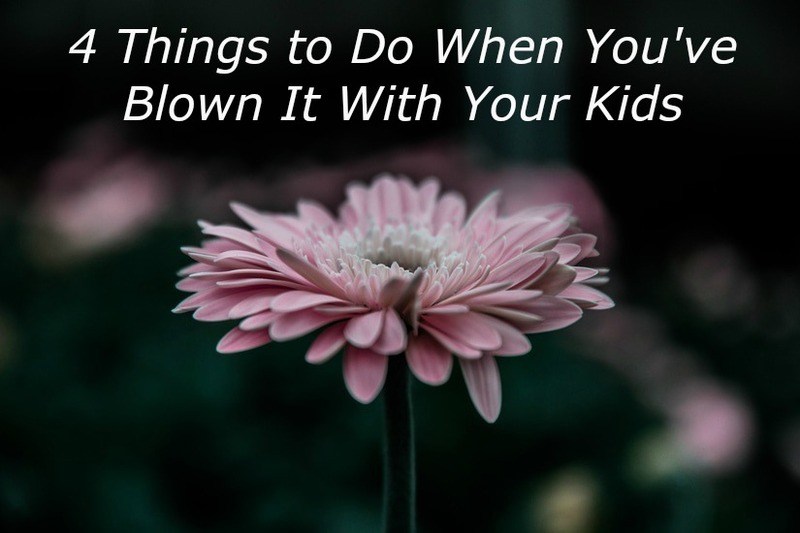 What other tips do you have for those times when you blow it with your kids? I don't have any other tips, but I do find myself asking for their forgiveness an awful lot. You are so right – this could apply to any close relationship! Sadly, it's often our families who see us at our worst and whose forgiveness we need most often. Ooooo, I can sooooo relate!!! I'm big on apologizing. I grew up in a yelling household & am a yeller myself, but I always thought how floored I'd be if my parents ever apologized to me after a blow up. I always want my kids to see me acknowledge when I mess up, that it's human. 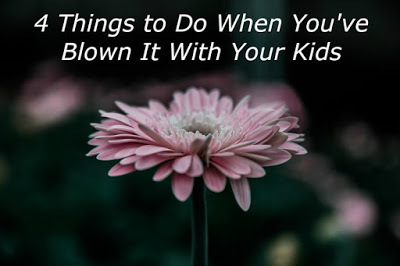 Yes, I hope that when these situations do occur that I can set a good example for my kids in how I quickly reach out to them and seek forgiveness.